SHADOWHUNTERS – “Iron Sisters” – Clary and Isabelle head to The Citadel looking for answers in “Iron Sisters,” an all new episode of “Shadowhunters,” airing MONDAY, FEBRUARY 6 (8:00 – 9:00 PM EDT) on Freeform. (Freeform/John Medland) MATTHEW DADDARIO, HARRY SHUM JR.
SHADOWHUNTERS – “Iron Sisters” – Clary and Isabelle head to The Citadel looking for answers in “Iron Sisters,” an all new episode of “Shadowhunters,” airing MONDAY, FEBRUARY 6 (8:00 – 9:00 PM EDT) on Freeform. (Freeform/John Medland) HARRY SHUM JR.
To help get answers to what Valentine may be planning, Isabelle and Clary are sent on a mission to visit the Iron Sisters. Once there, more truths may be revealed than Izzy and Clary planned. On a mission of their own, Simon and Maia are determined to find Luke who is still missing after the demon attack at the Institute. 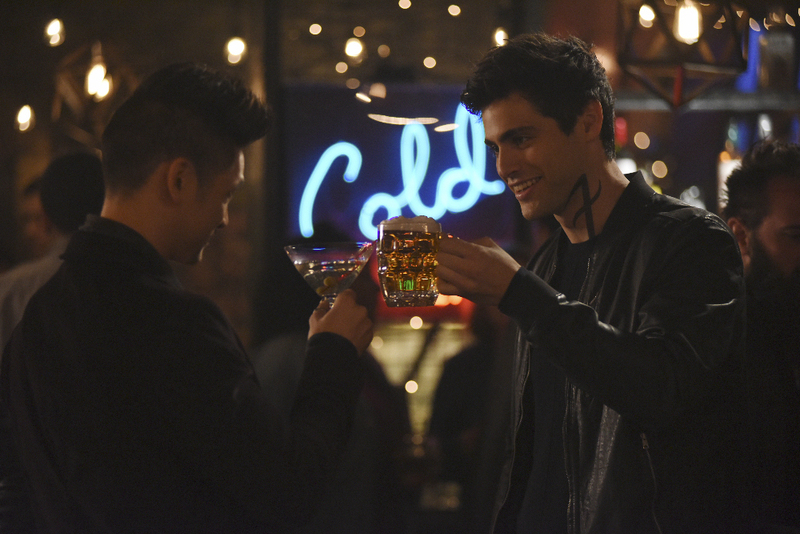 Meanwhile, Magnus and Alec finally go on their first date.